CooksRecipes has quality, kitchen-tested recipes for a variety of hamburger and rice dishes that you can count on for successful deliciousness. 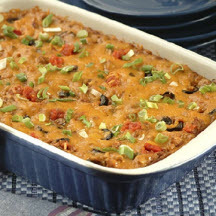 Easier and faster to prepare than traditional enchiladas, but with the same great South-of-the-Border flavor. 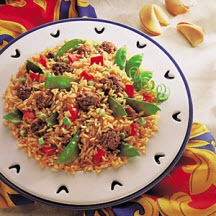 Here's an economical, super quick and easy meal-in-one main dish using ground beef that can be stirred up in a snap! 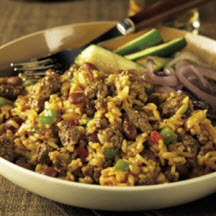 A deliciously simple ground beef version of red beans and rice that comes together quickly.